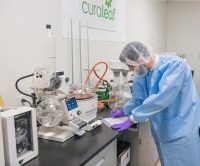 Last week, Curaleaf, a medical cannabis producer and processor in Miami, Florida, announced they have earned the Safe Quality Food (SQF) Level II certification. In the press release, they claim they are the first and only medical cannabis company in the state to achieve that certification. That SQF certification is a program recognized by the Global Food Safety Initiative (GFSI), which is a global collaborative effort to get food companies practicing food safety management on the same high quality standards around the world. GFSI is a major international food quality and safety program where some of the largest food manufacturers and processors in the world participate. Curaleaf’s products include a line of low-THC and full strength medical cannabis products. They have dispensaries in Miami, Lake Worth, Fort Myers and St. Petersburg, as well as delivery of products from Jacksonville south to Key West. Looking at SQF Level II certification and GFSI could be a step in the right direction for many cannabis infused product manufacturers, as they are some of the more recognized programs in the food industry.